In today’s modern society, things happen quickly, especially in the business world. Alongside the fast paced environment and the new found ability to use technology, modern society still faces some big time barriers in getting things done efficiently. It doesn’t matter how hard you work or how savvy you are with some of the newest technology, there are some time suckers that seem unavoidable. These are some of the best tips on how to avoid the top business time killers today. Running business today means working a worldwide schedule into your life. Whether you have to travel across town to the office, or across the country to a business meeting, there are some simple ways to save time in your commute that you may not have thought of before. Your office may adjust for a public transit schedule if you discuss it with them, and a 30 or even 15 minute change in shift could save you up to an hour every work day. Get knowledge about which way is faster, the elevator or the stairs. It may be a pain to run up a couple flights of stairs every day, but it might save you twenty minutes you didn’t know you were losing. Don’t sit down because sitting at a desk isn’t very good for you, nor does it allow you to think clearly after a while. Turn off your notifications so that you can focus at the task at hand and be aware of those time suckers like travel time and falling into a slump at your desk. Don’t get caught up paying attention to emails and the tasks of others while ignoring your own work. Make rules about the internet and your availability to ensure your time isn’t being wasted. 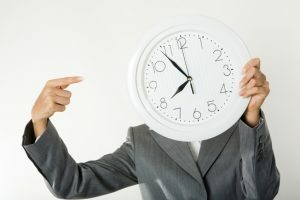 Be aware that time suckers are everywhere, but once you are mindful of them you can adapt and make the changes necessary to be more productive.